Have you ever seen the movie Music and Lyrics? It is a personal favorite of mine, it is cheesy and delightful. The story is about a 80s pop star has been who is trying to get back in the game. One of the songs his band is famous for is called Pop Goes My Heart. 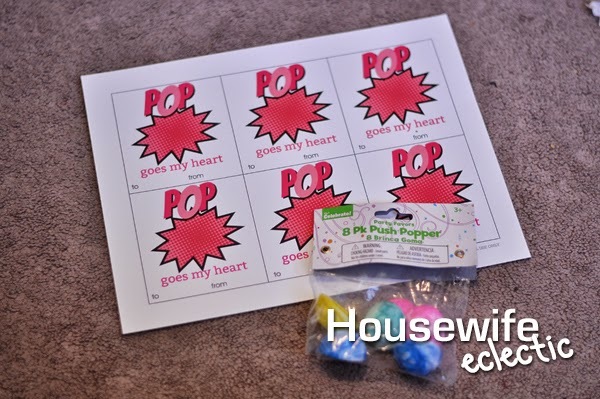 Every time I play with plastic poppers I always end up singing it, which led to the creation of this Valentine. This might be my favorite Valentine printable ever. I love the comic book take on it and who doesn’t love getting a fun little toy with their Valentine? I know I would much rather give out poppers than candy. I found package of 8 poppers at Walmart for around a buck and then attached them to the Valentine with double sided tape and it works great. What a cute idea! Great alternative to candy! I have not heard of this movie but it sounds like something I would like. This is a super cute and clever printable. Very neat printable for this valentines day…. I'm sure people would use this!!!! Love these, Debra!! So cute! That is such a great Valentine. I love the printable. 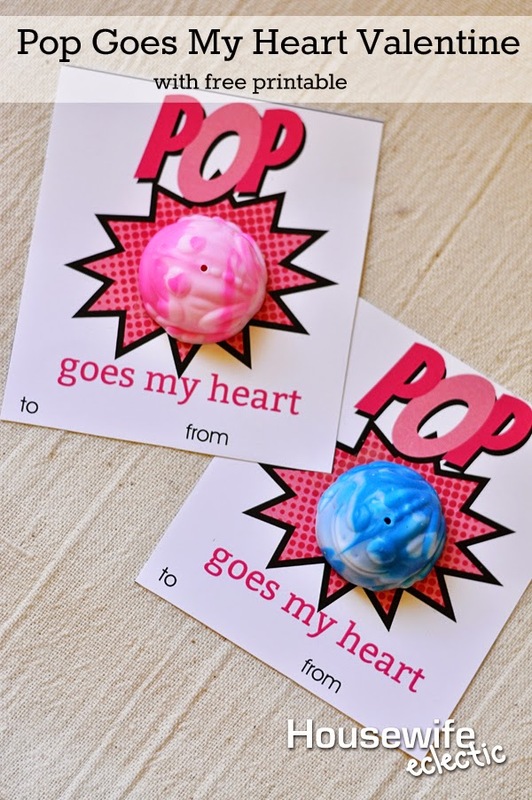 I've always loved those poppers and this is the perfect Valentine to go with. Really cute idea! Awe these are such a cute idea!! I love them! This is such a cute idea! I remember those poppers from when I was a kid. They have been around forever, and they are still a blast. Love this! Those are so adorable. I've never seen this toy but I can see the fun in it! This is such a cute idea for this year. I remember how much fun my kids had with these.